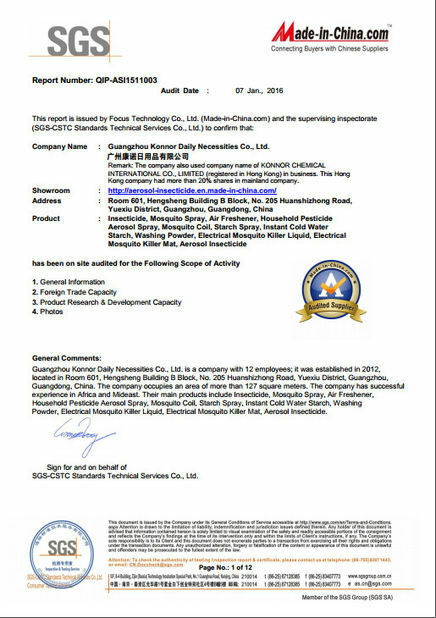 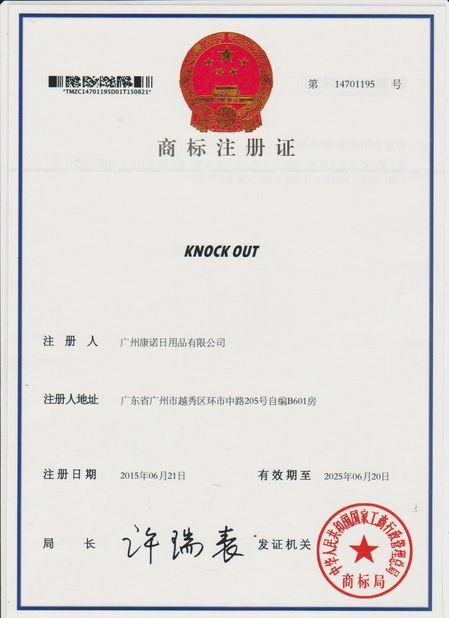 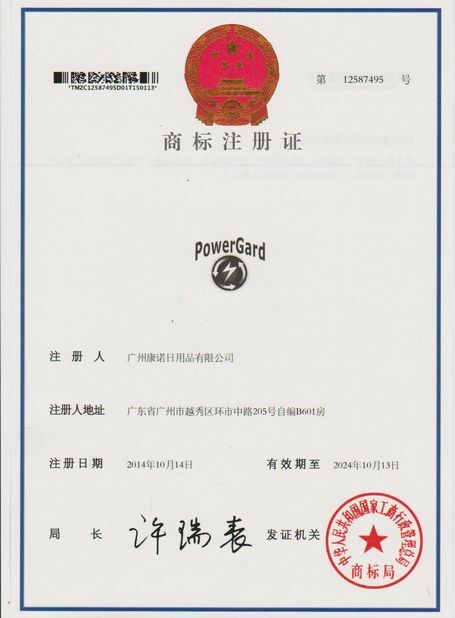 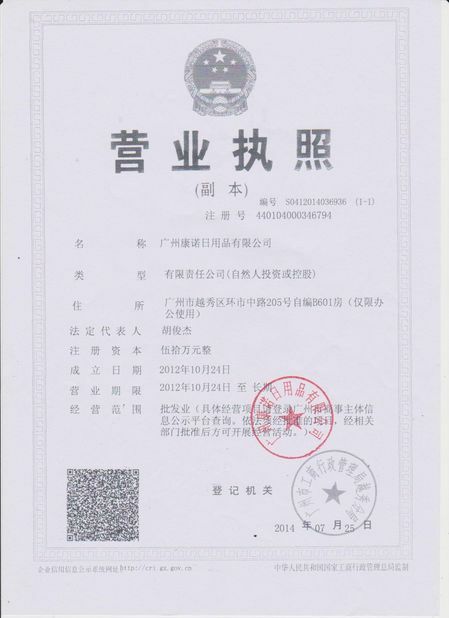 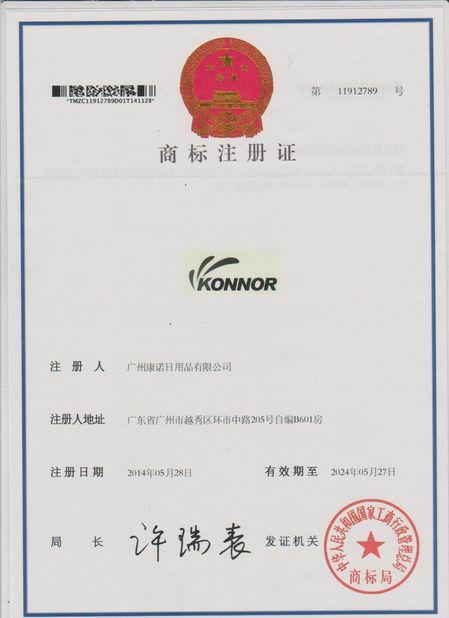 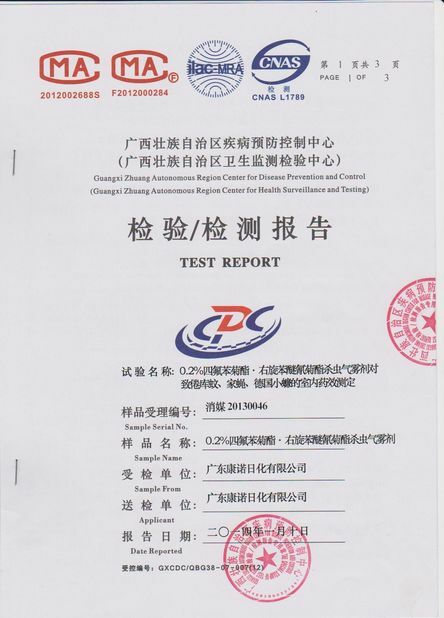 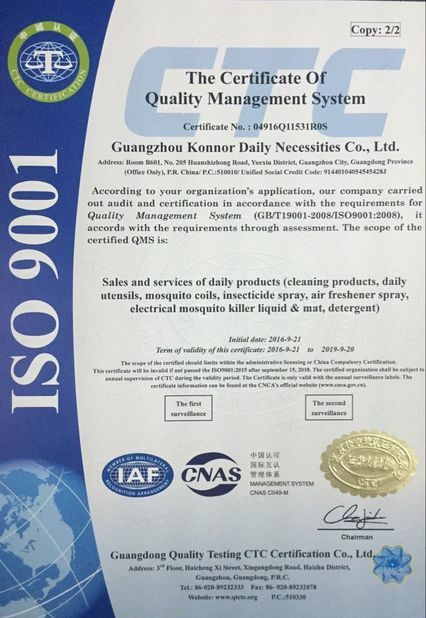 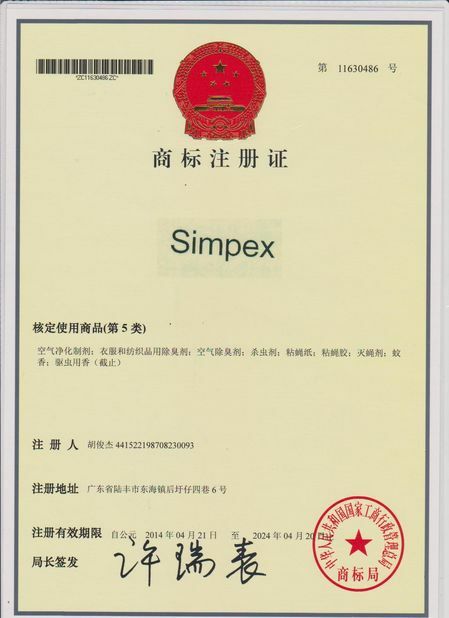 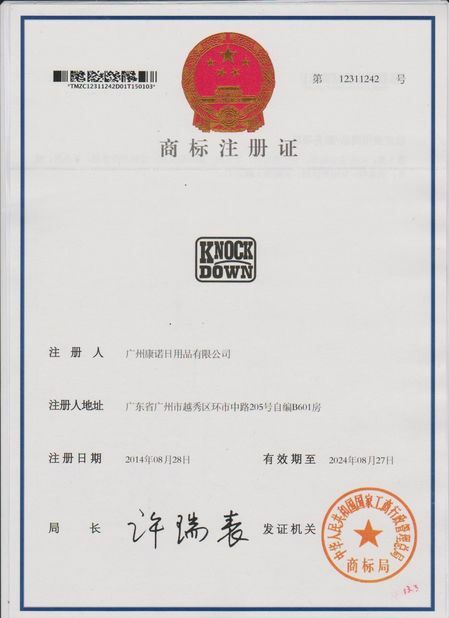 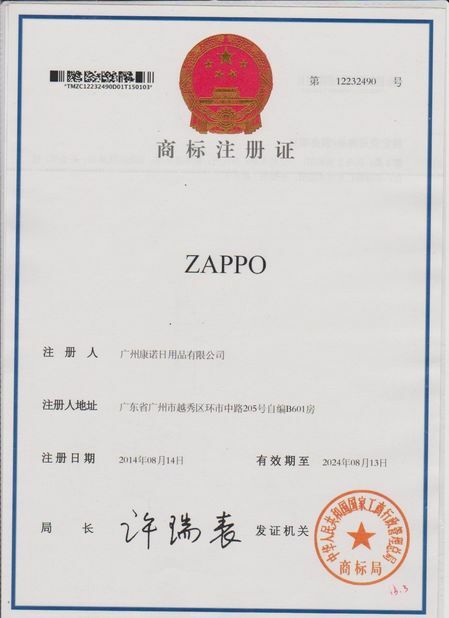 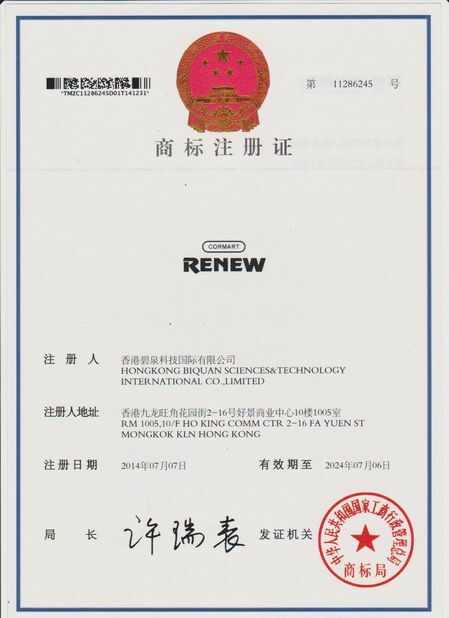 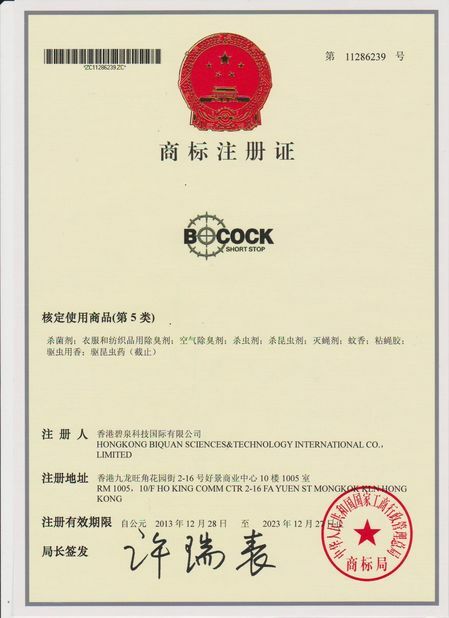 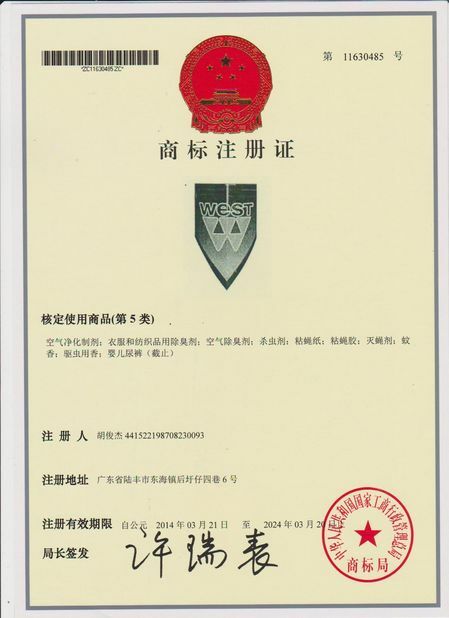 Quality Control - Guangzhou Konnor Daily Necessities Co., Ltd.
All chemical and reagents should be sourced from reputable laboratory chemical suppliers and should be adequate for the tasks for which they are to be used. 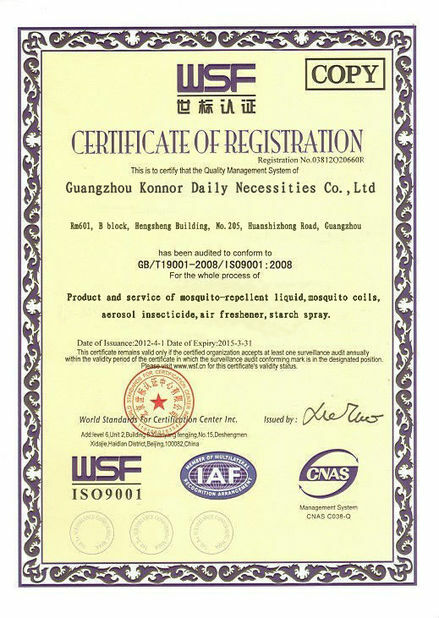 In particular, laboratory gases and solvents used for chromatography must be of high purity as defined by instrument and column suppliers. 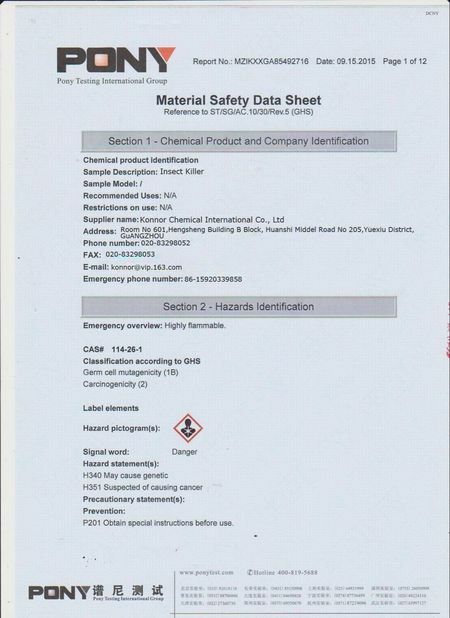 Attention should aslo be given to specific requirements for chemical purity indicated in analytical methods. 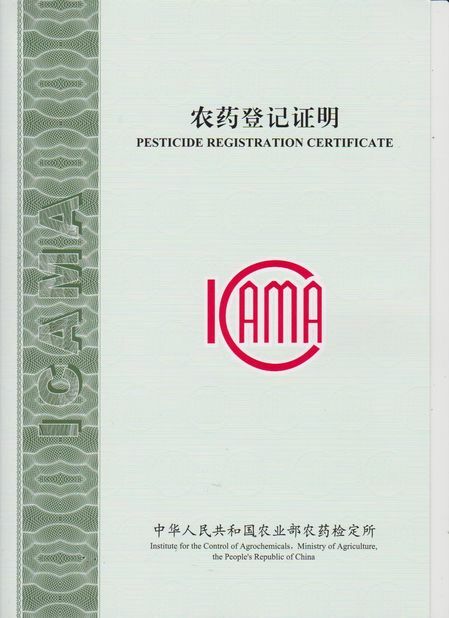 Scope/Range:Company License for Insecticide spray, Starch spray, Mosquito coil, Air freshener spray an others.